Written on March 31, 2010 . Posted in Announcements + Updates, Fine Arts, Updates from & for Faculty. 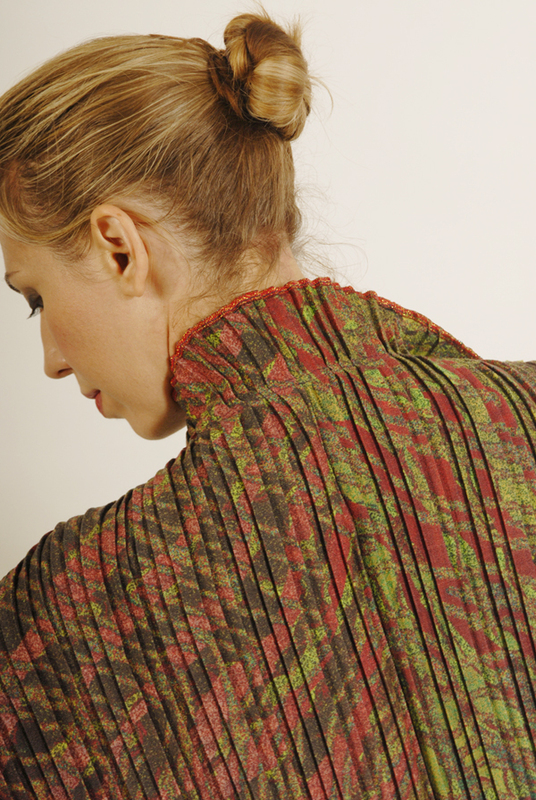 Textile Center presents Artwear Symposium from June 2 – 8, 2010. Ceramics Department Professor Emerita Jacquelyn Rice will open the Symposium as keynote speaker on June 4 at 7pm with “Digital Meets Textile: A Partnership,” a chronicle of her and partner Uosis Juodvalkis collaboration on creating innovative, digitally printed garments. She is also the juror of Textile Center’s exhibition Inside Out, art for the human form on view at the Joan Mondale Gallery June 4 – July 10, 2010. Presenters and attendees from all over the country will convene in Minneapolis for this week long immersion into the topic of wearable art. Workshops and lectures will cover a wide range of fashion and textile interests, from the philosophical side of discussing collaborative art processes and debating art versus fashion to the practical teachings of couture finishing techniques. There will also be gallery exhibitions and events showcasing works of wearable art from national and international artists.